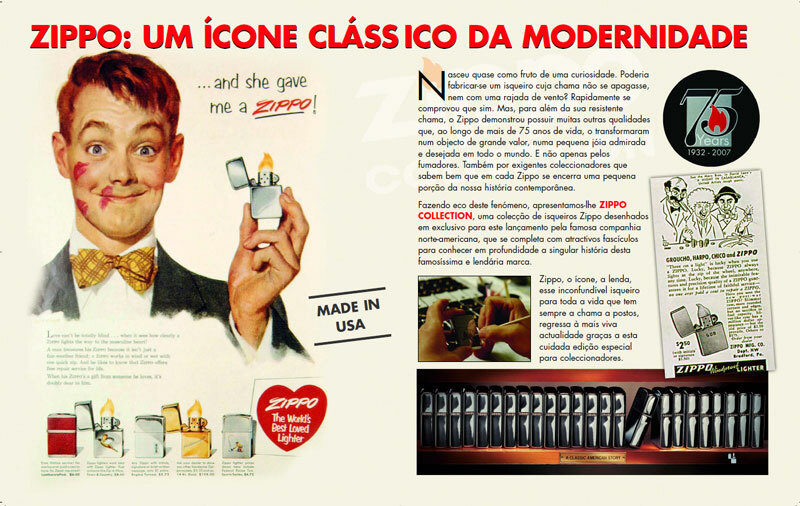 This collection was exclusively released in France, Spain and Portugal but discontinued in France after #3.
and culture of the twentieth century. 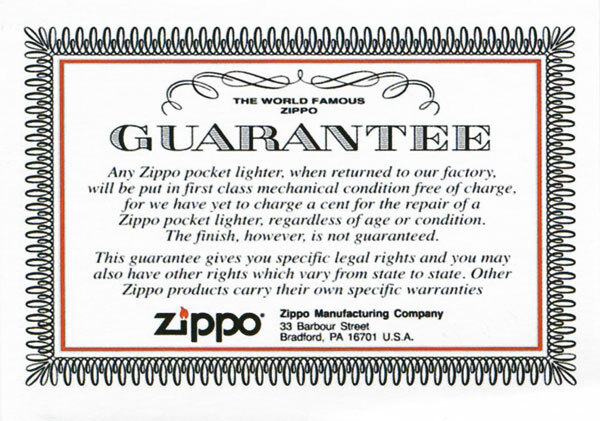 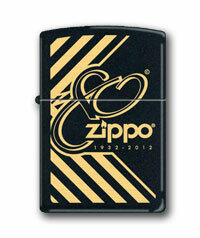 the Zippo Manufacturing company & has a consecutively numbered card. 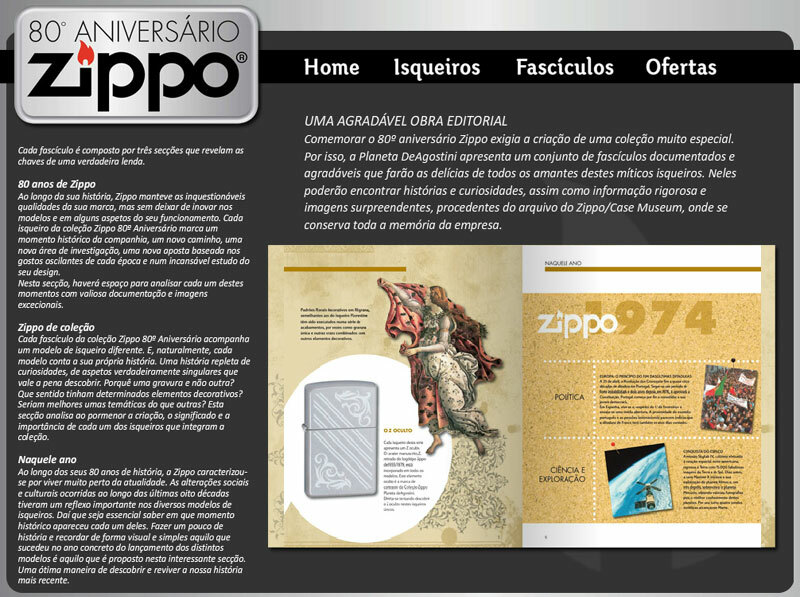 Sales started on January 28, 2010 with a new design released every second week through August 8, 2011. 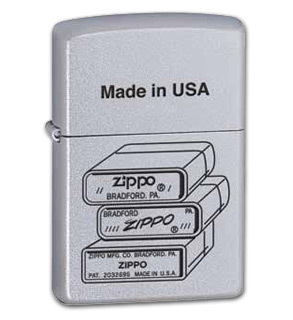 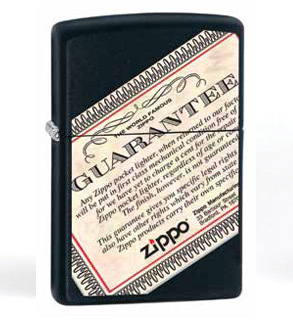 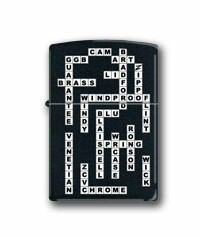 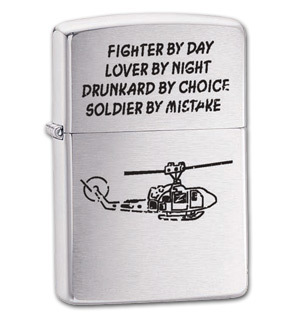 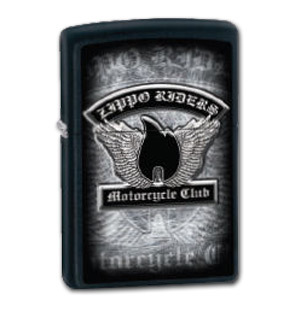 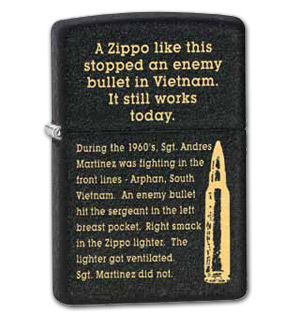 Each Zippo has a hidden italic Z somewhere in its design. 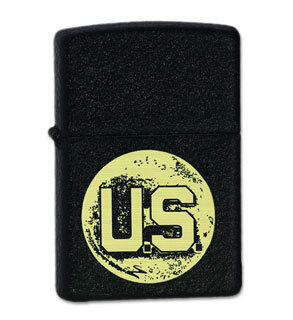 release date: Jan. 28, 2010 #2 - U.S.
starting on August 25, 2011 through May 21, 2012. 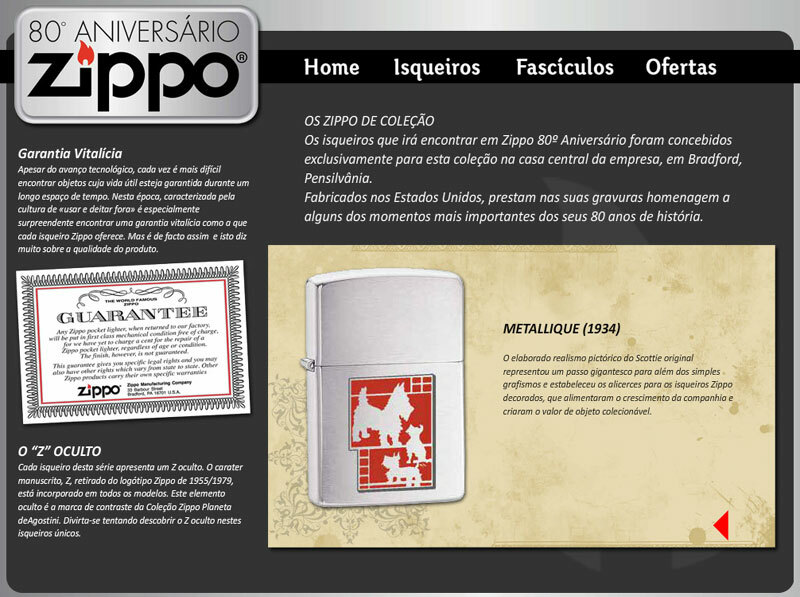 Once again this series was only available to the portugese market. 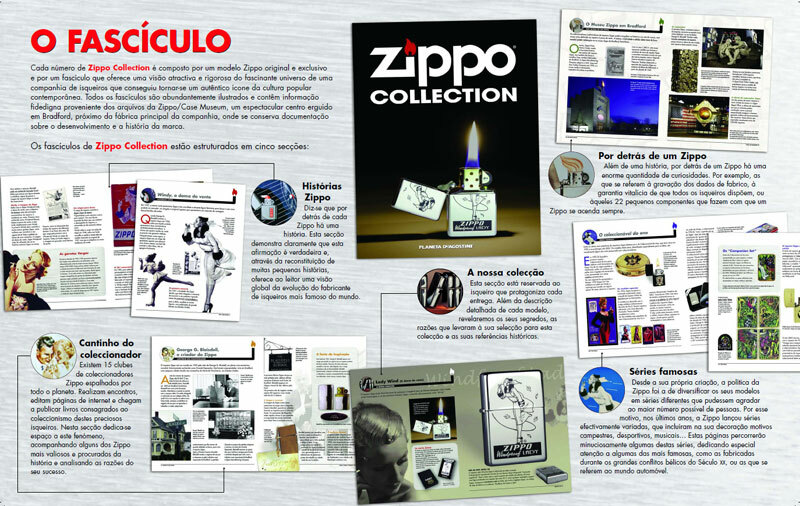 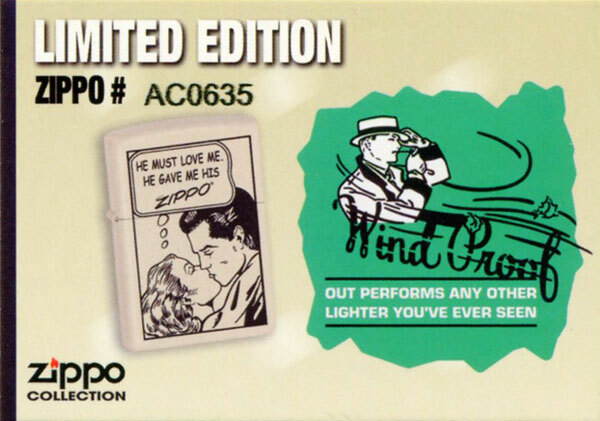 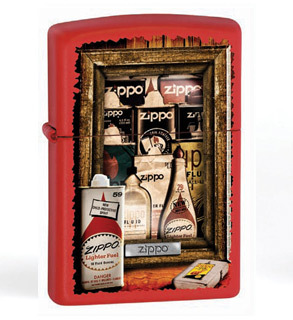 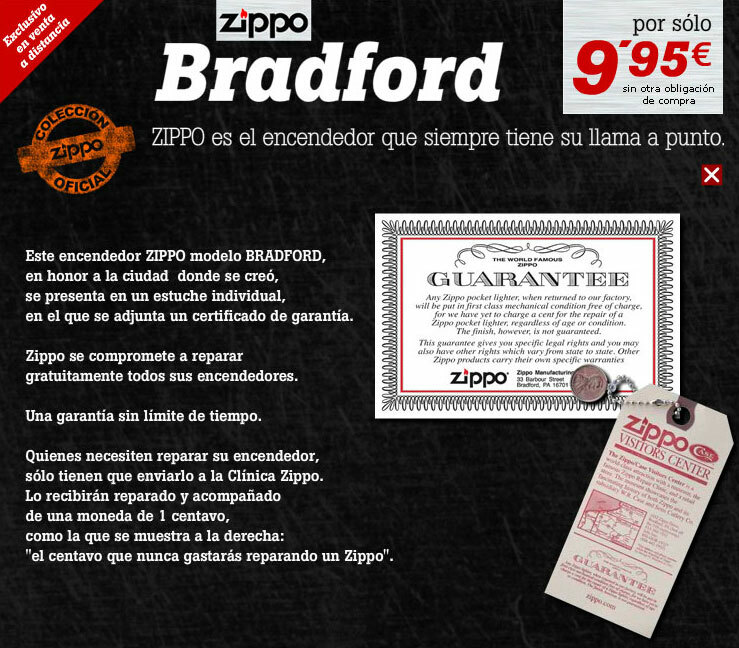 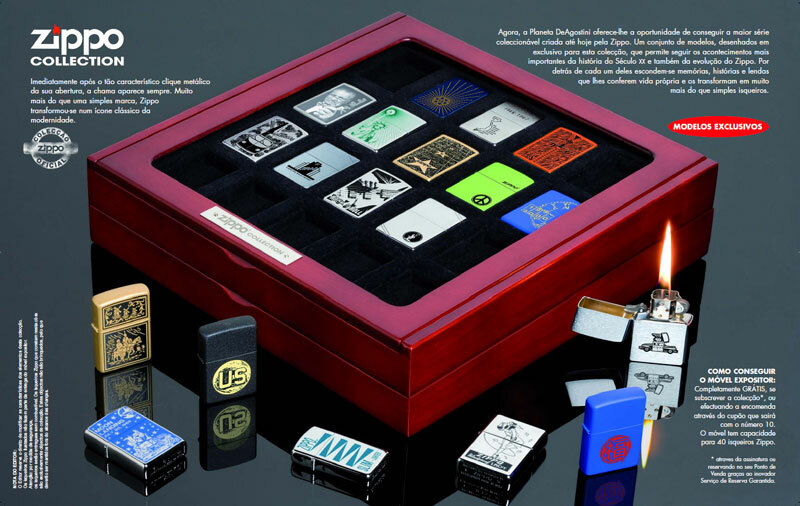 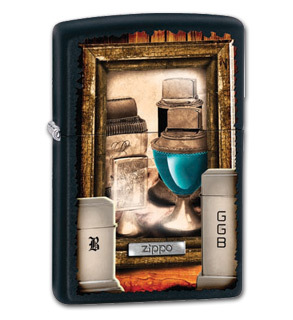 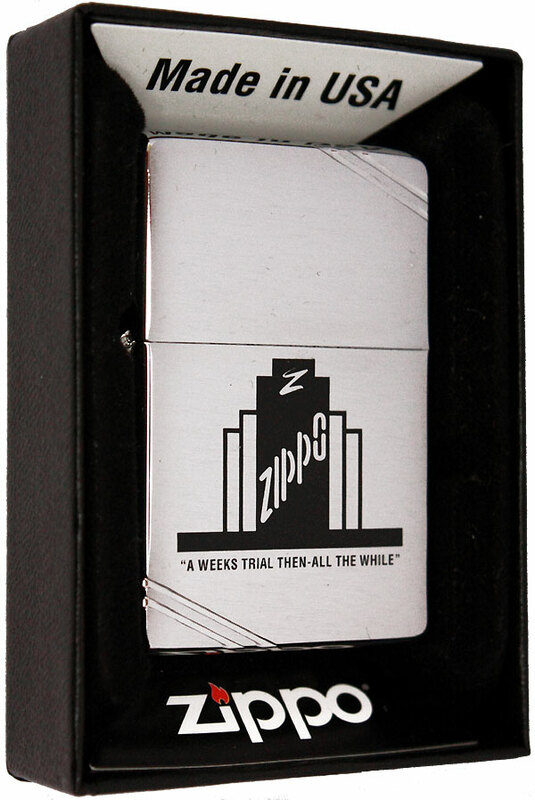 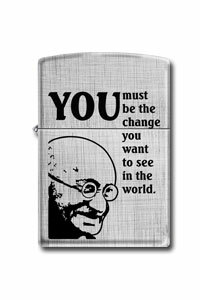 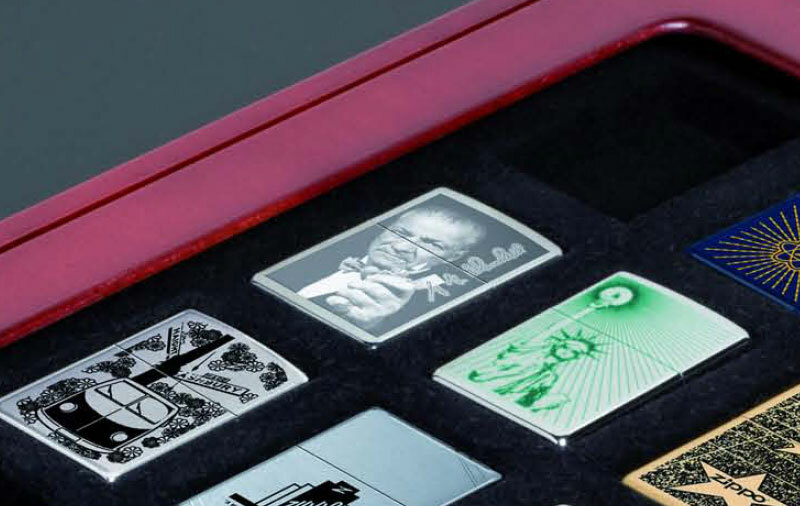 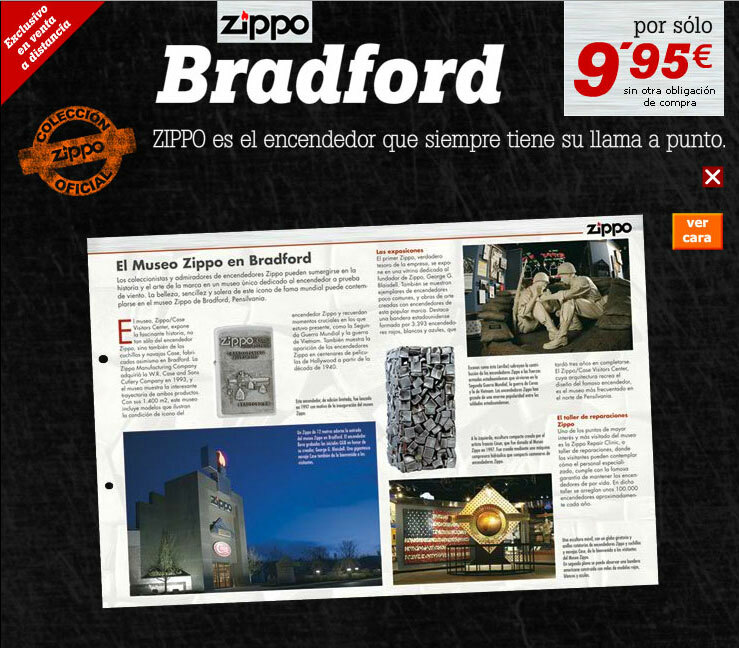 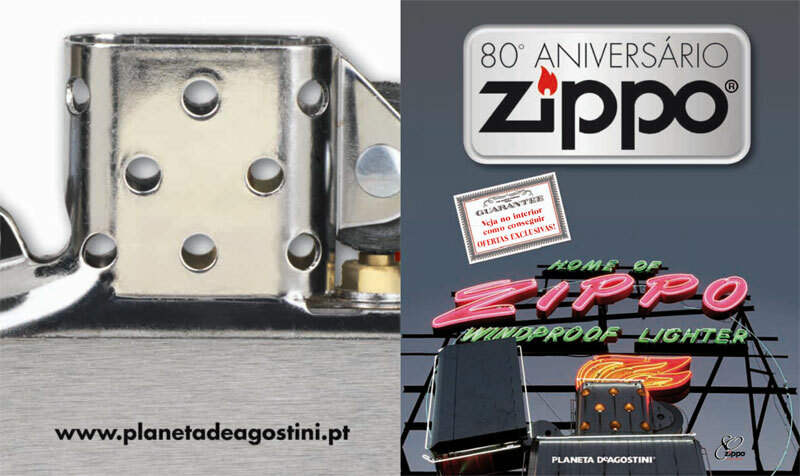 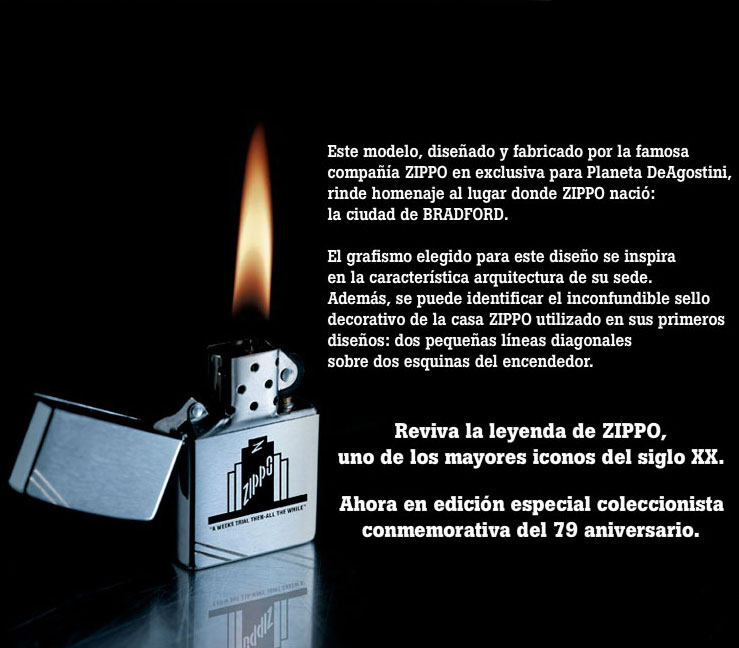 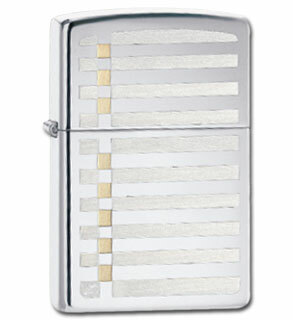 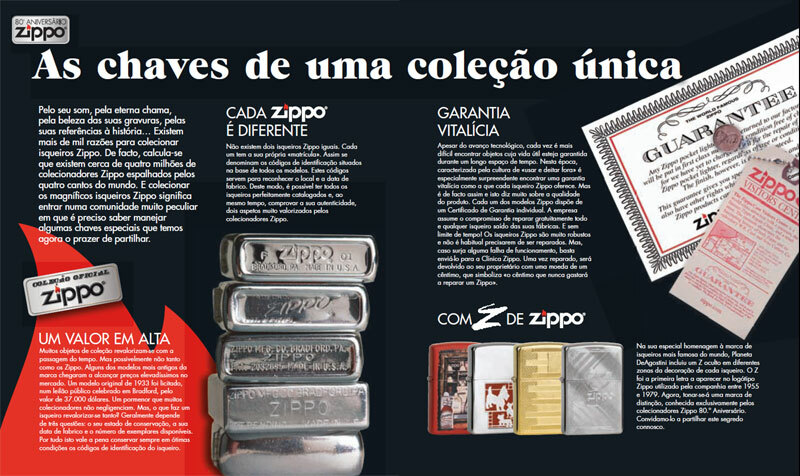 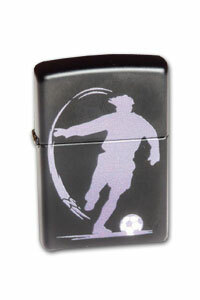 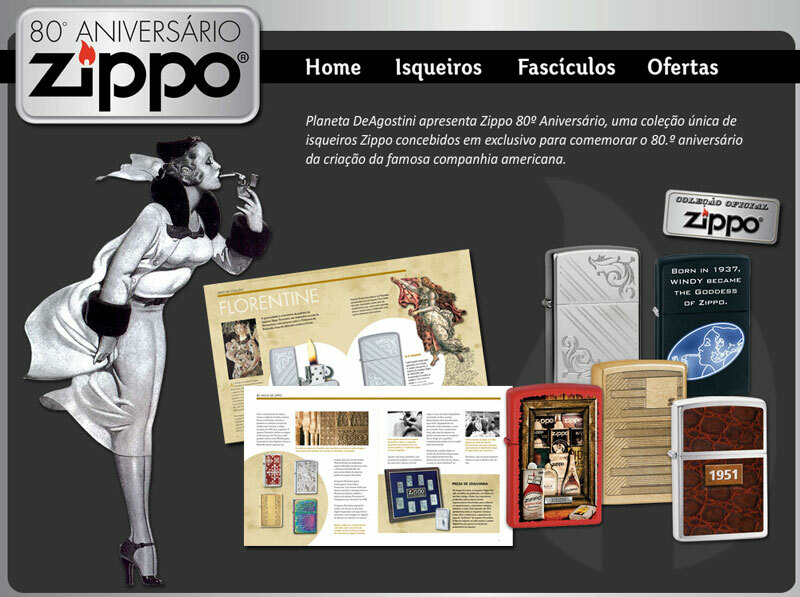 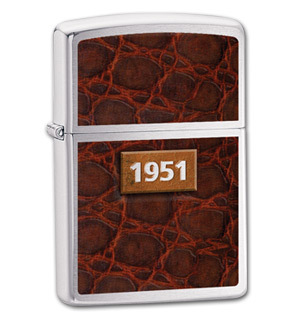 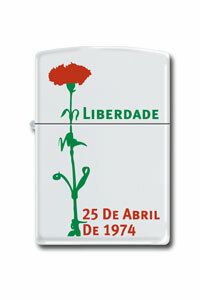 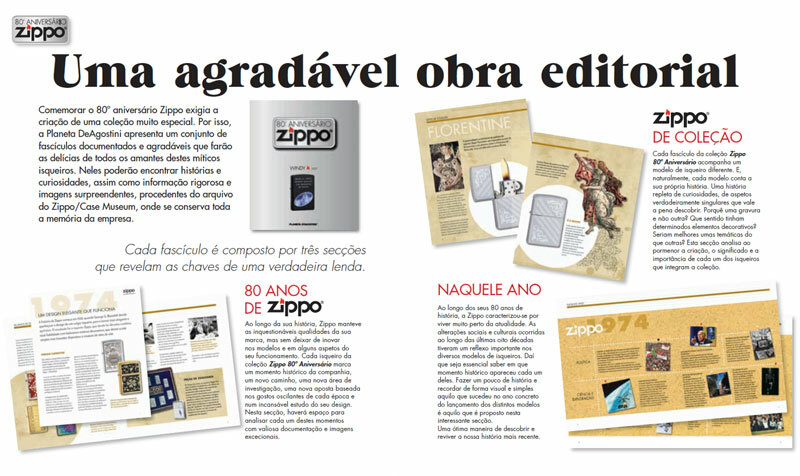 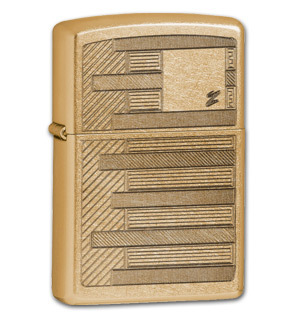 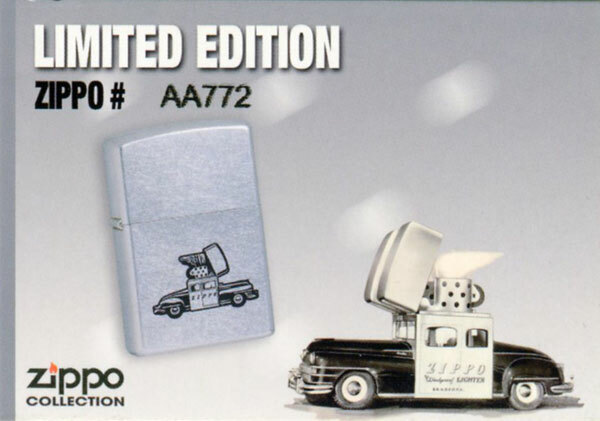 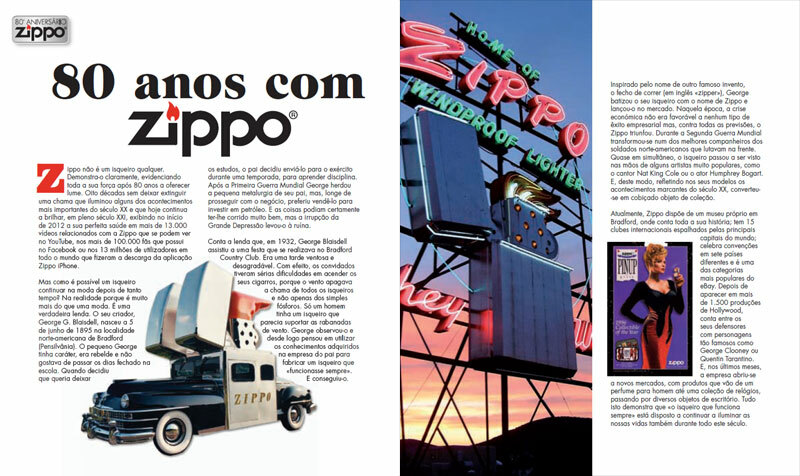 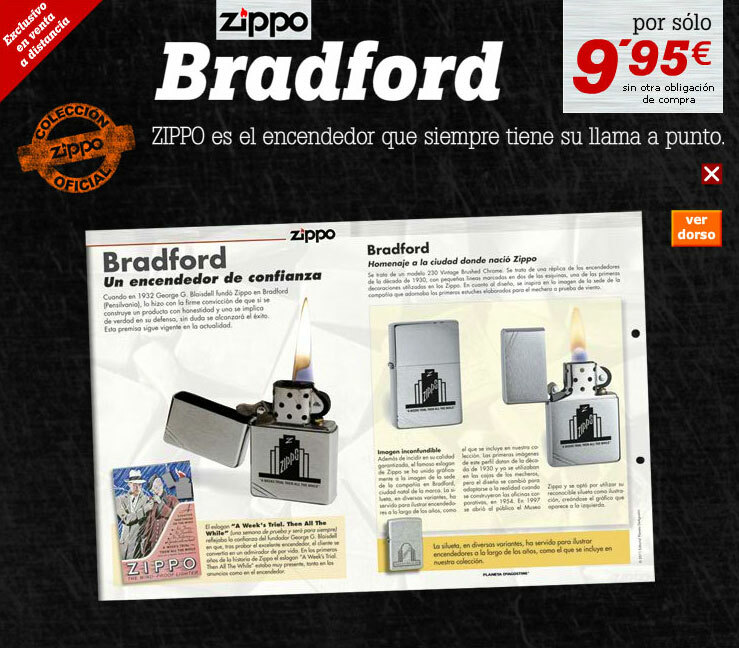 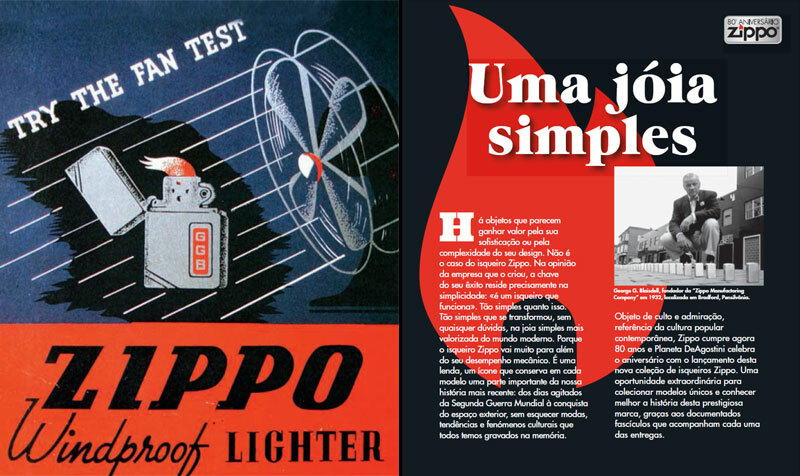 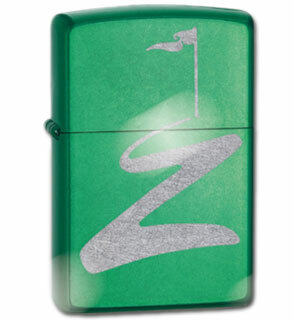 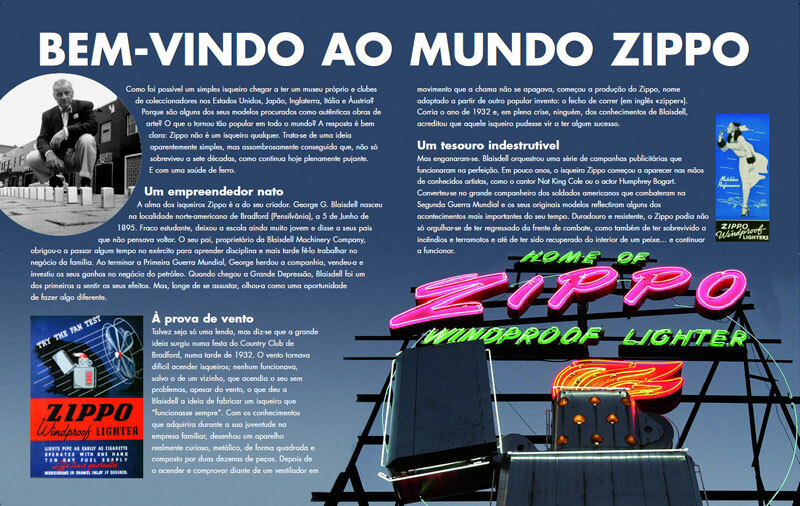 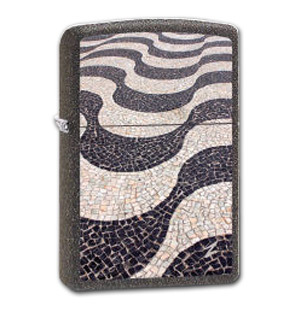 In May 2012 Zippo Portugal announced a new series of fourty Zippo lighters celebrating Zippo's 80th Anniversary. 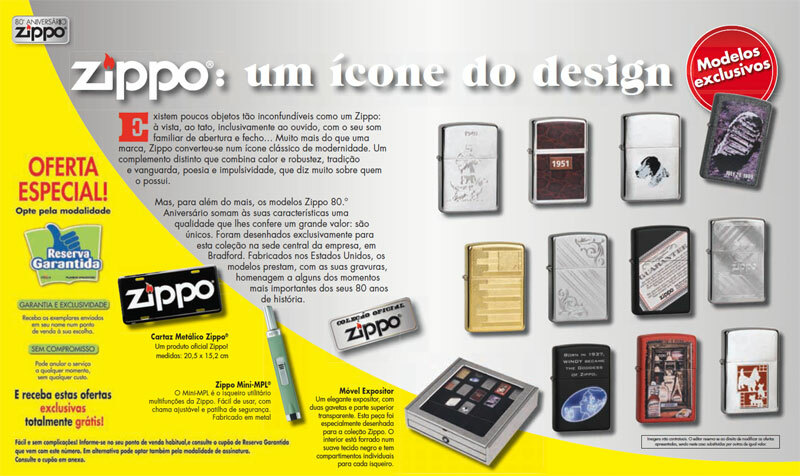 Sales will start on September 3, 2012 through March 10, 2014 with once again on new design every second week. 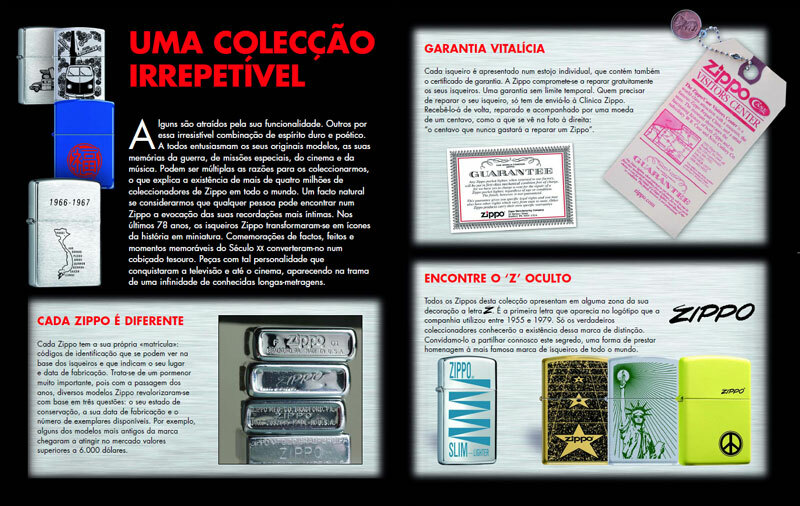 Having a closer look at the brochure there is a G.G. 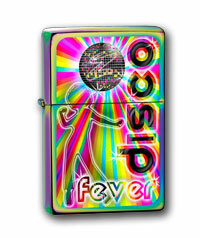 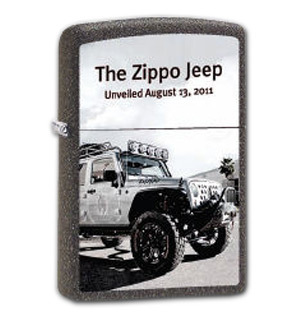 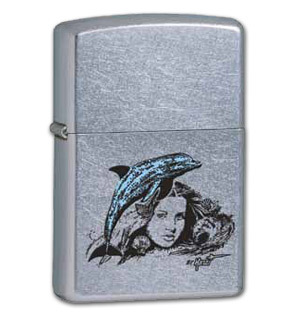 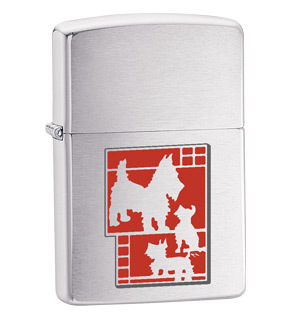 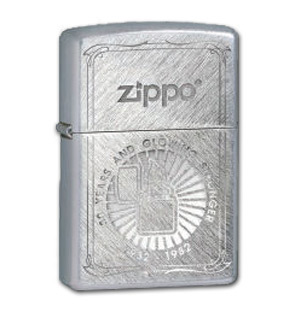 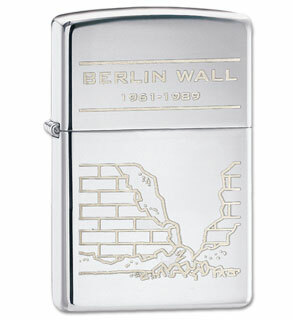 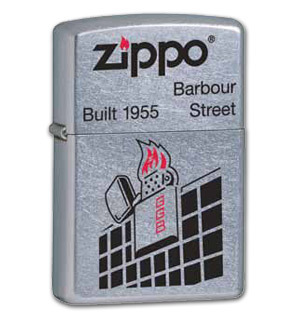 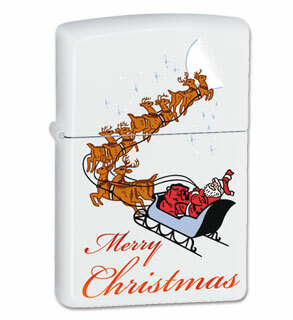 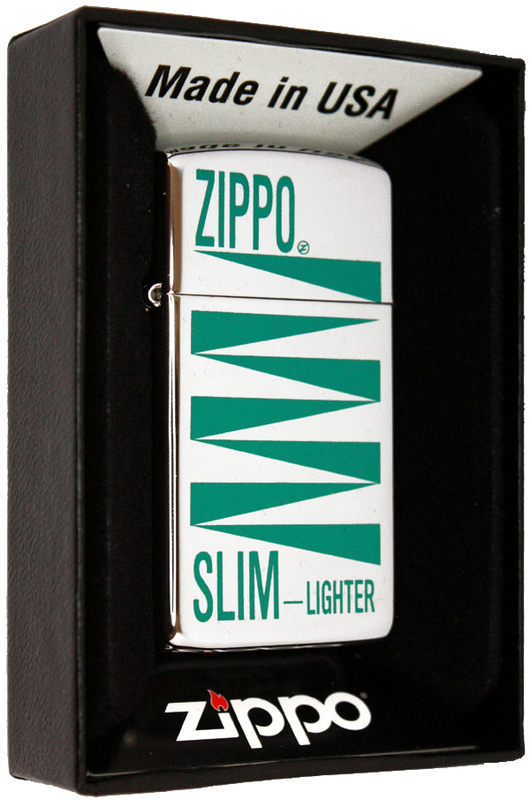 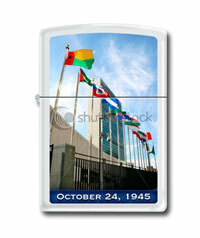 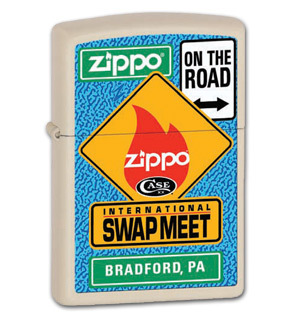 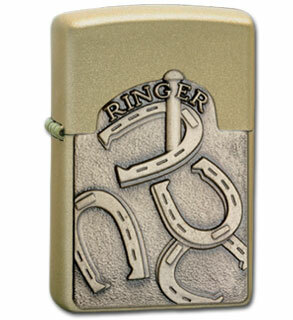 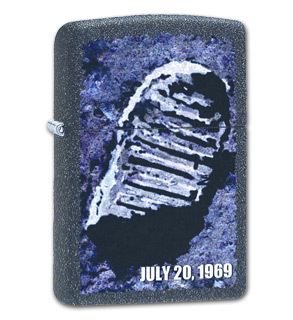 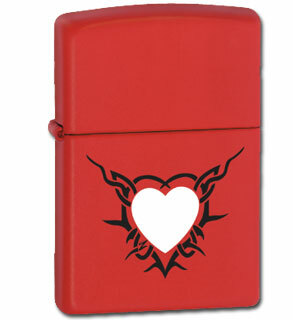 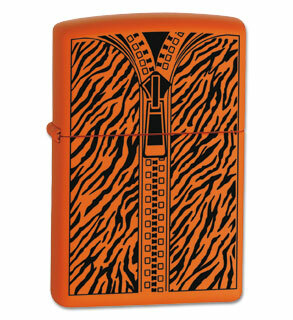 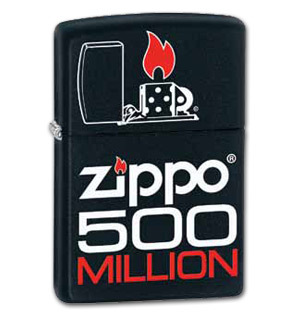 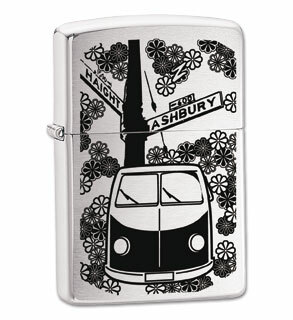 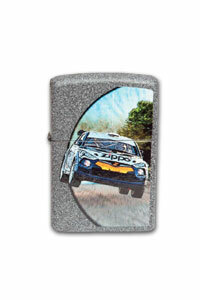 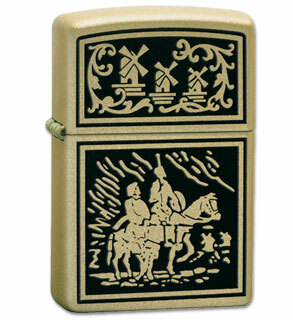 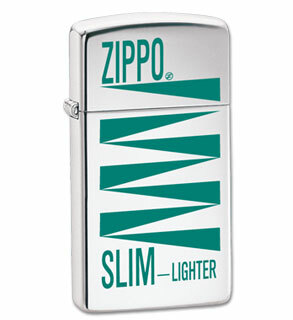 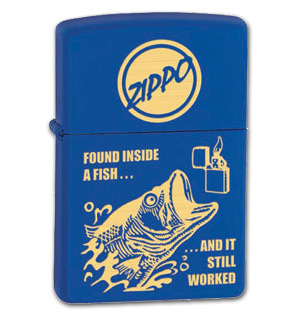 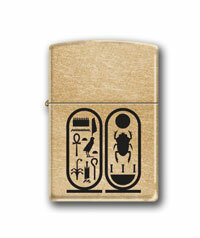 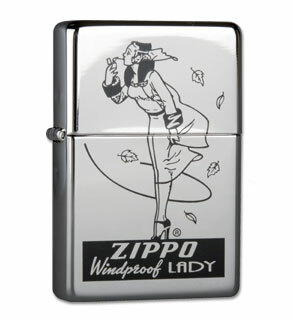 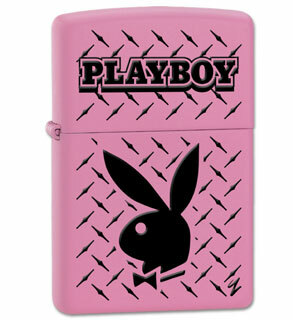 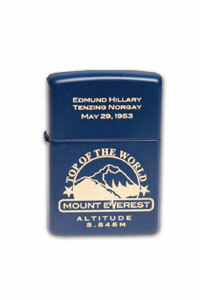 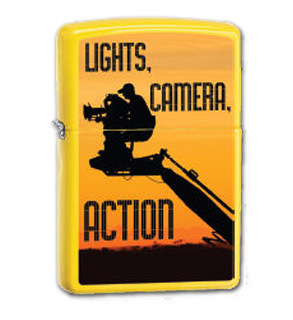 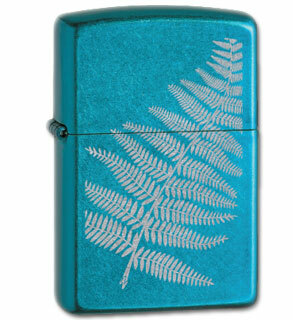 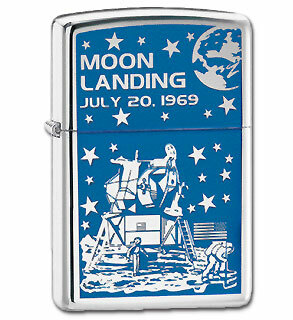 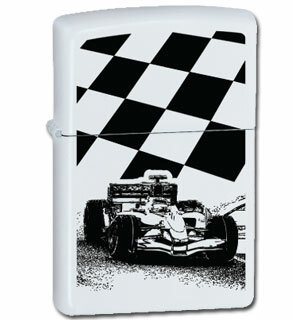 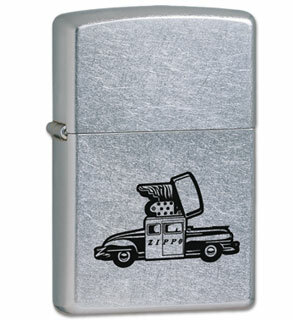 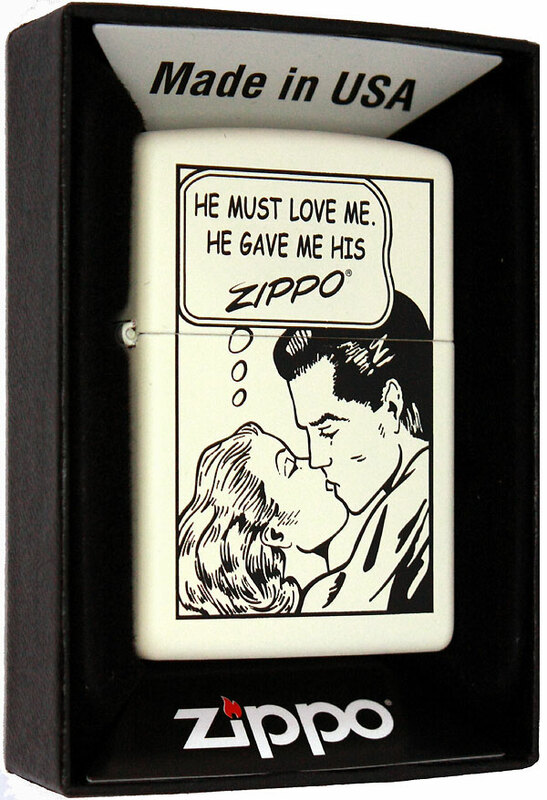 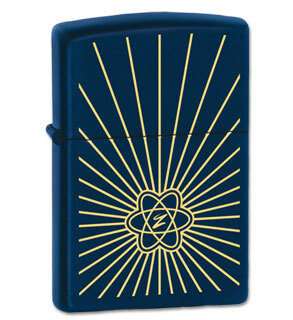 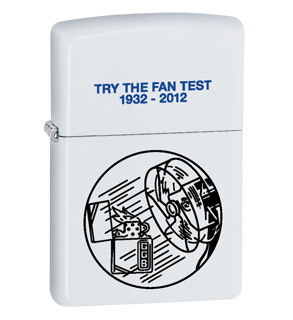 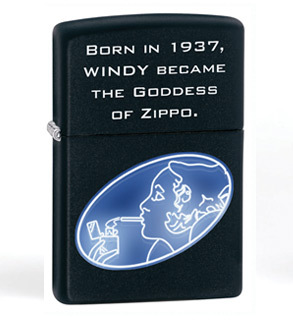 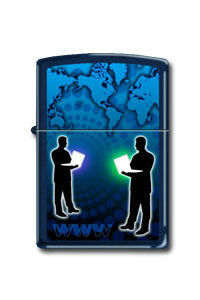 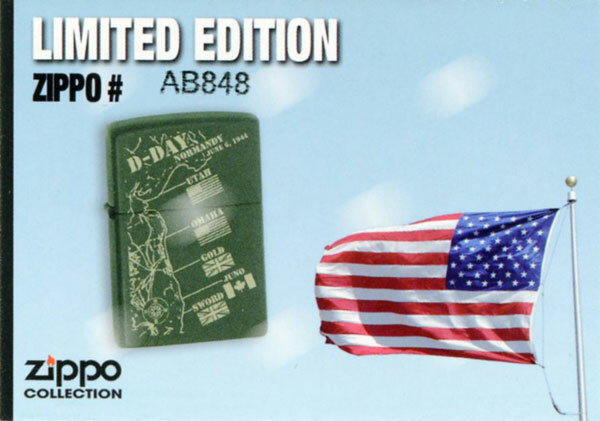 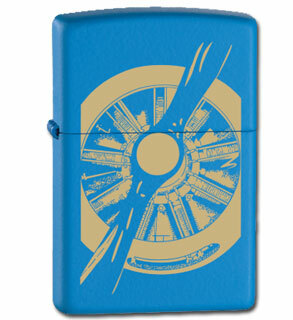 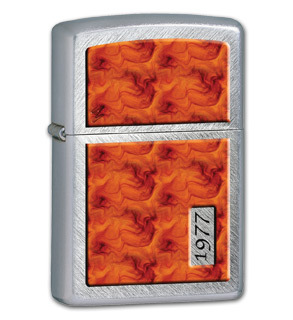 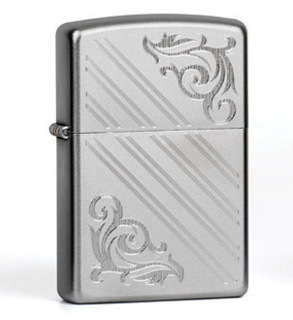 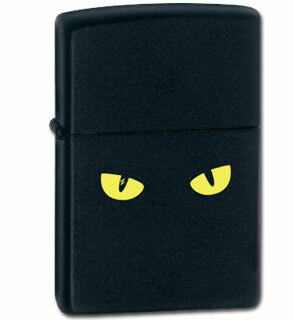 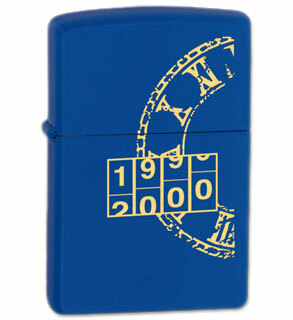 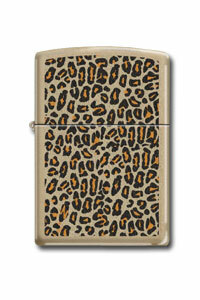 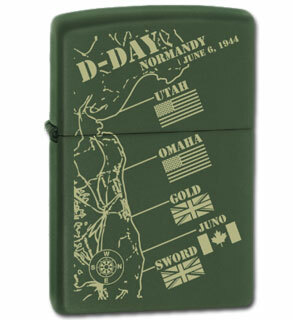 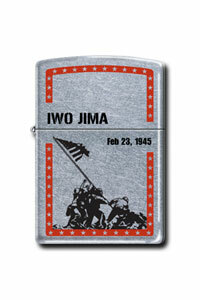 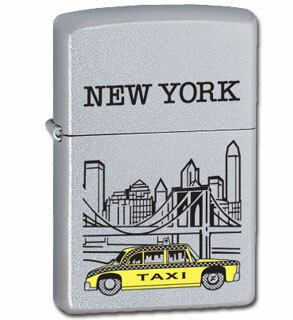 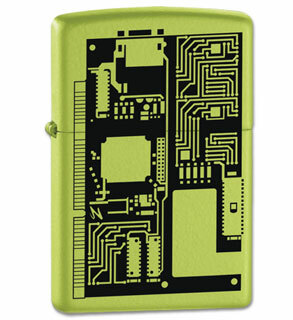 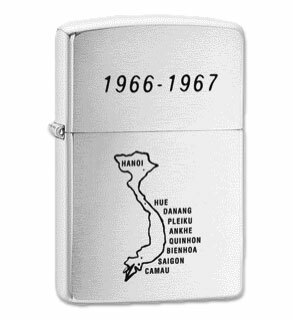 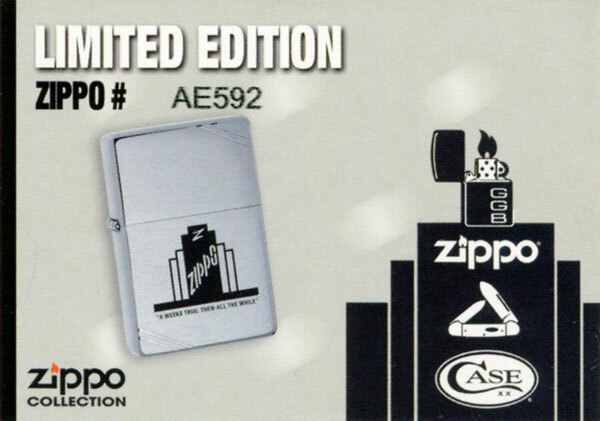 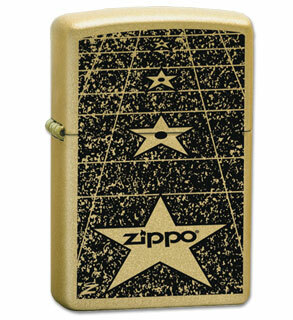 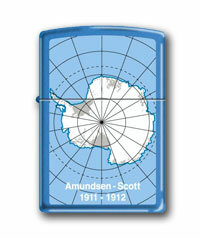 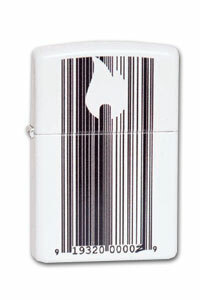 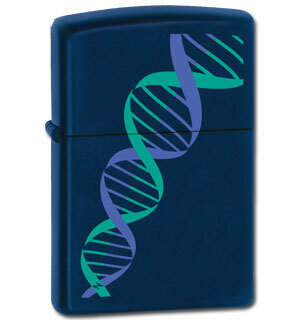 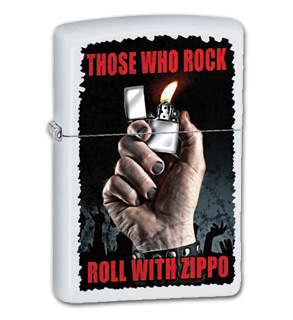 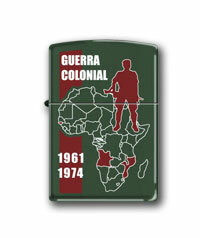 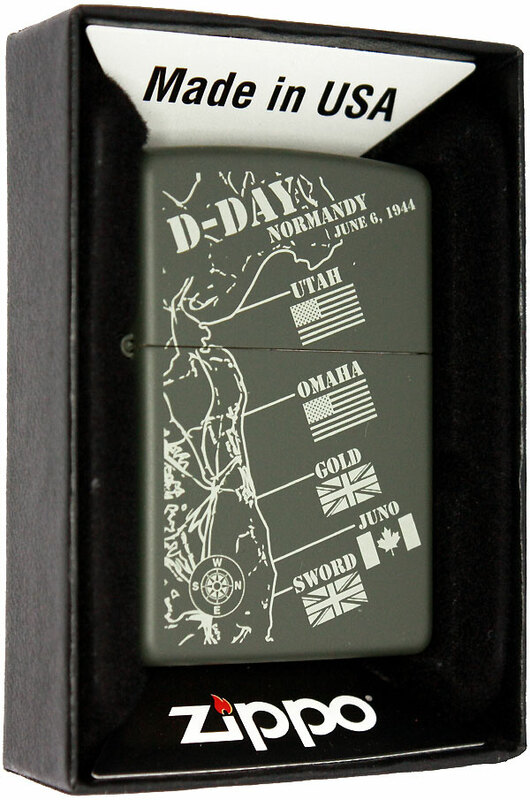 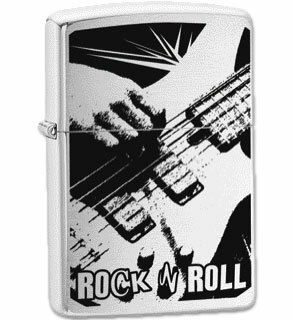 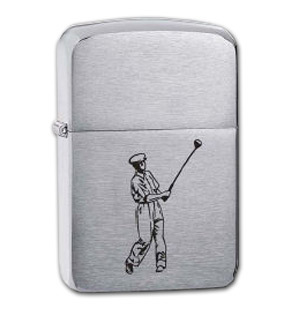 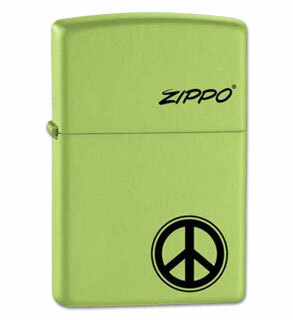 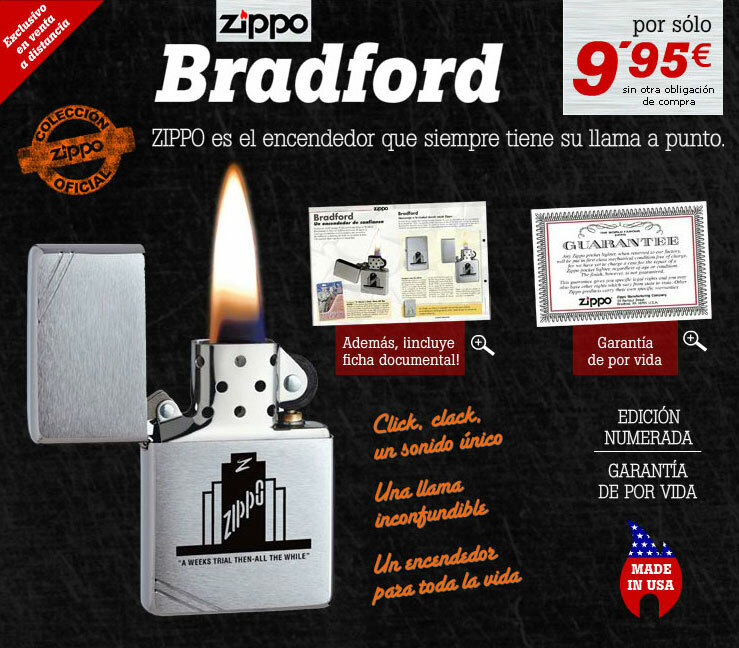 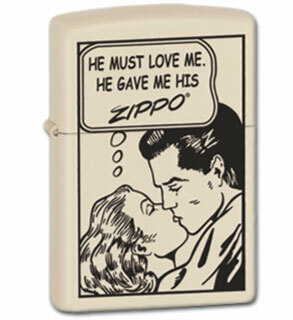 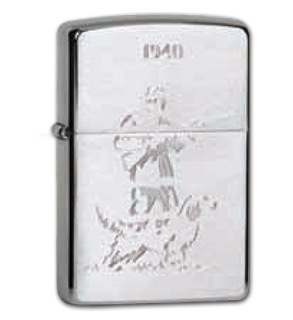 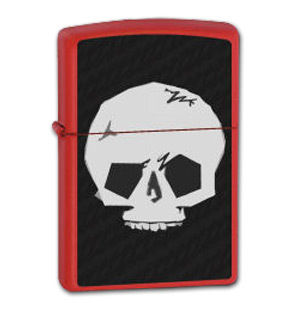 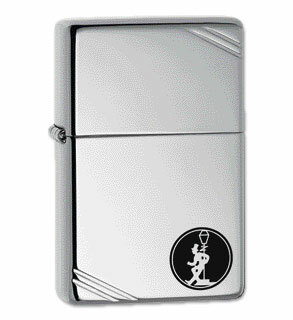 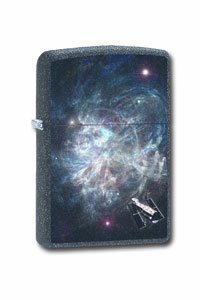 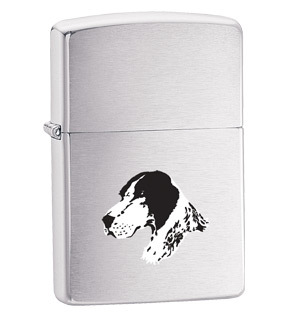 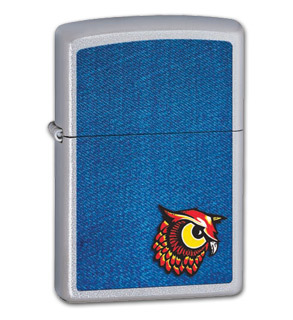 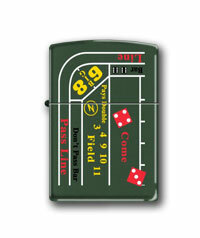 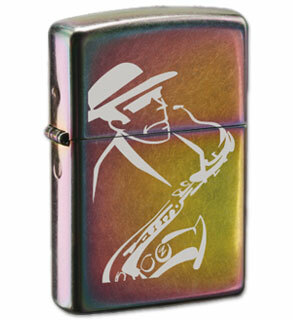 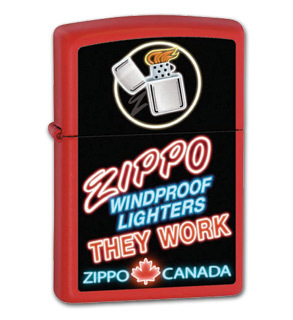 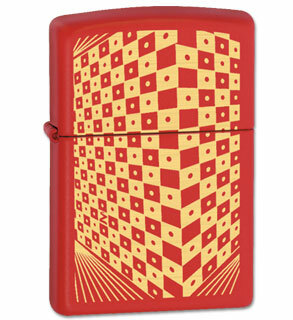 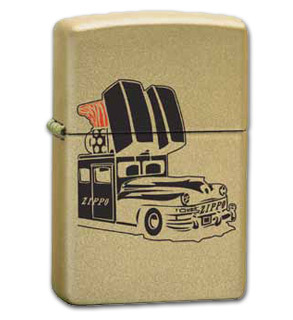 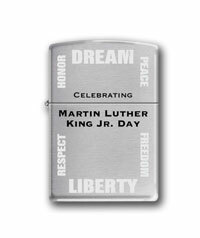 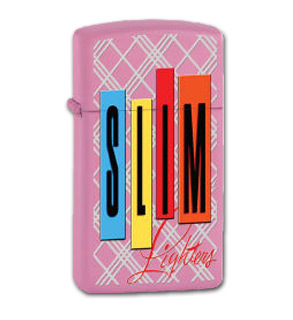 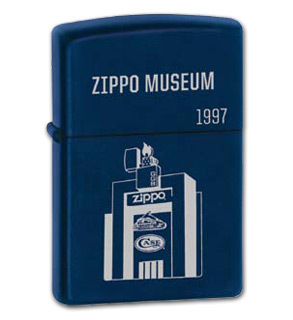 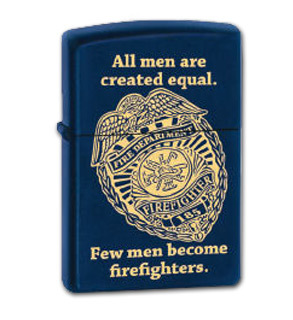 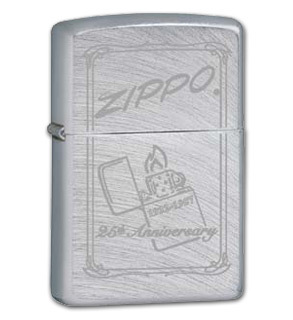 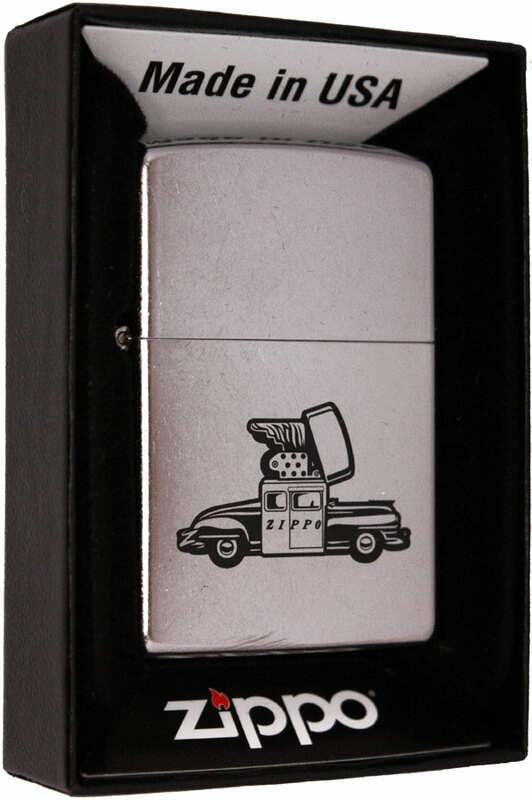 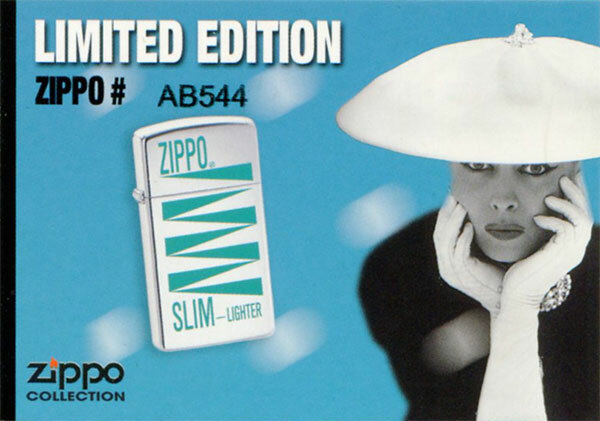 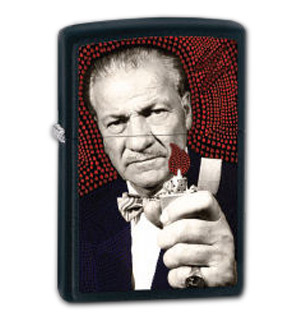 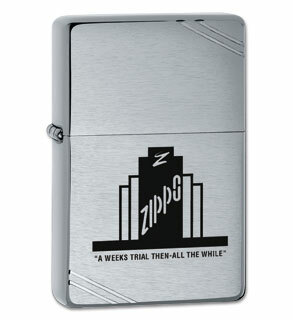 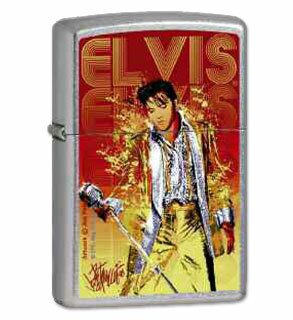 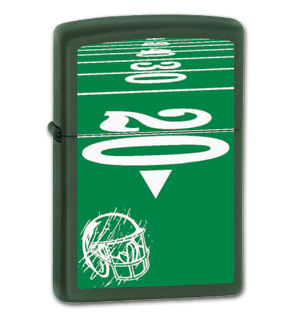 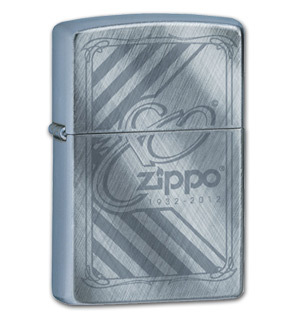 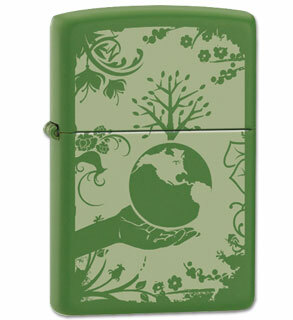 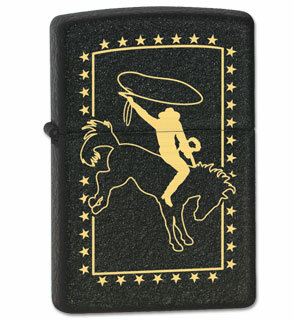 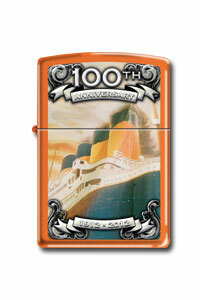 Blaisdell design too, but this one for some reason was not included in the collection of the fourty Zippo lighters. 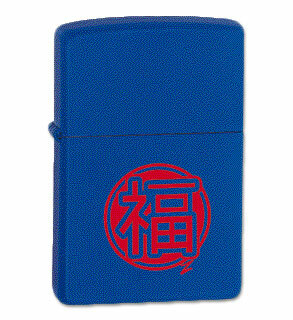 Maybe a hint that the series will be continued.